Prepared parts ready for primer. 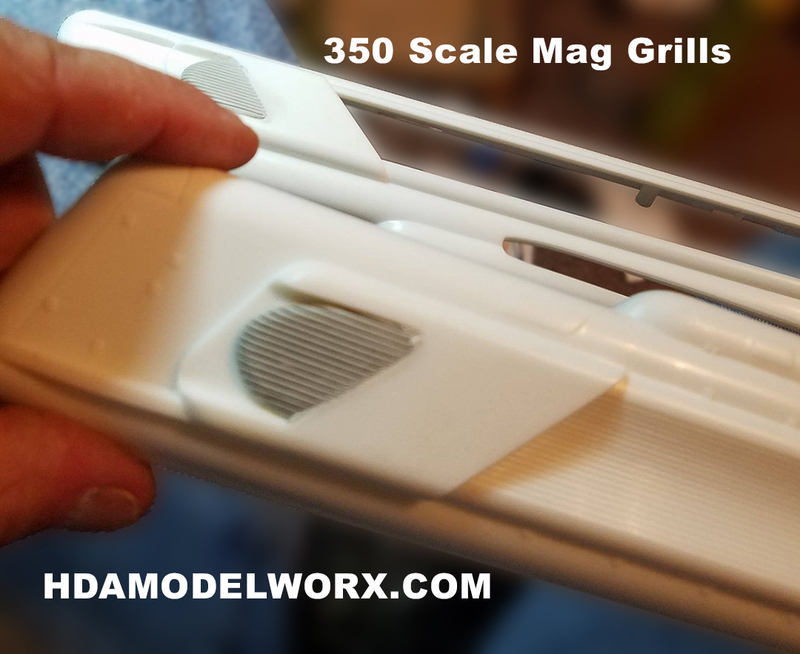 Designed by long time studio model researcher and 3d artist, Ron Headley, these replacement Mag Grills, for the Polar Lights 350 Scale USS Enterprise Model kit, is highly accurate and detailed. 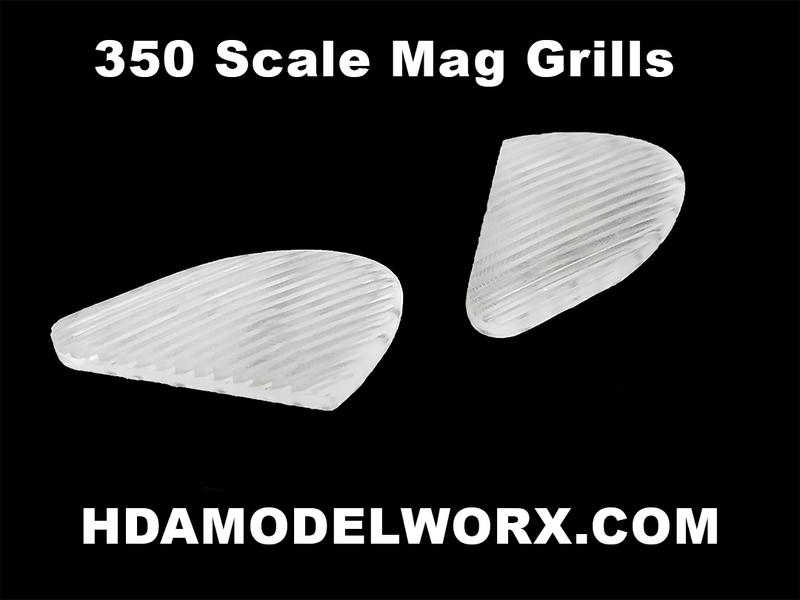 Complete with the correct shape and all the grill lines in scale as seen on the studio model. Many details are difficult to achieve at this scale, but these have been designed based upon how the studio model details would scale down to 350 scale in size. With this kit you get grills for both the starboard and port nacelles both outboard and inboard. 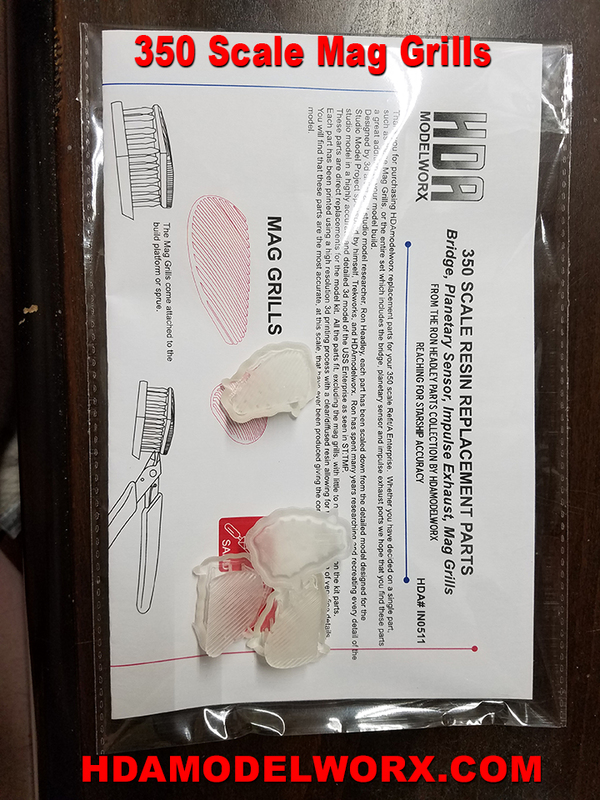 3d Printed with a super high resolution resin system these grills provide the most accurate and detailed replacements available. 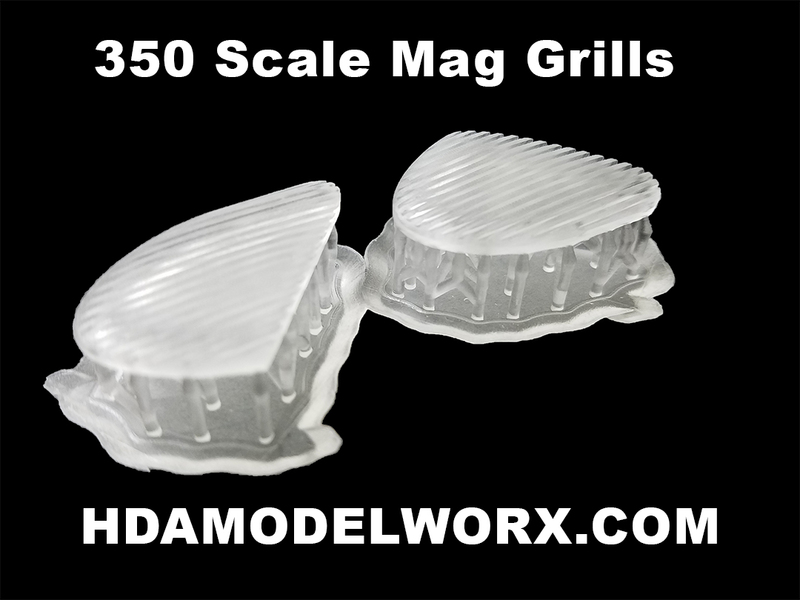 The Mag Grills come on their build platform (sprue) and will need to be clipped free with a sprue flat edge cutter.